In case you missed it on Instagram, I've got a little giveaway going at the moment. For Beloved One have released a new face mask, their Melasleep Whitening Ethyl Ascorbic Acid Bio-Cellulose Mask (a mouthful I know). I've tried out a few products from this brand and I've always been impressed, and I'm happy to say I was this time around as well. 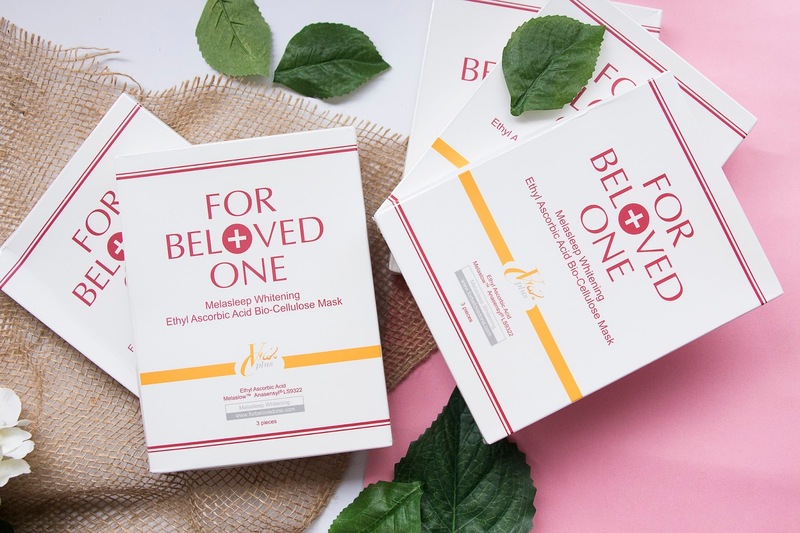 The lovely people at For Beloved One have been super generous, and not only did they send me a few packets of their latest mask to try out, they've given me some extras to give to you guys as well! This mask is the first Bio-Cellulose sheet mask in the world! As well as hydrating your skin, the mask also aims to brighten your complexion. I have three packets to give away and each packet contains three sheet masks. Winners will be direct messaged on Instagram. If there is no reply within 24 hours, a new winner will be chosen. Oh these sound amazing, definitely going to have to enter! I might have to do some research into this brand - I love a good mask!